After exploring quite a few tropical islands in the Gulf of Thailand and Andaman Sea the Trang islands are really something different. The islands are small and less developed for tourism. Yes, you'll find some high-end resorts and massage salons on the beach, but no ATM's, no souvenir shops and mini markets on most of the islands. During low season there are no ferries either, so no crowds. A true tropical paradise, very romantic. Koh Kradan only holds a few resorts on the beach side of the island, sun rise is amazing. Besides a few resorts lined up at the water front there is nothing more than beach and forest with limestone cliffs on the inland. Just relax, read a book or snorkel/kayak to one of the more remote beaches. 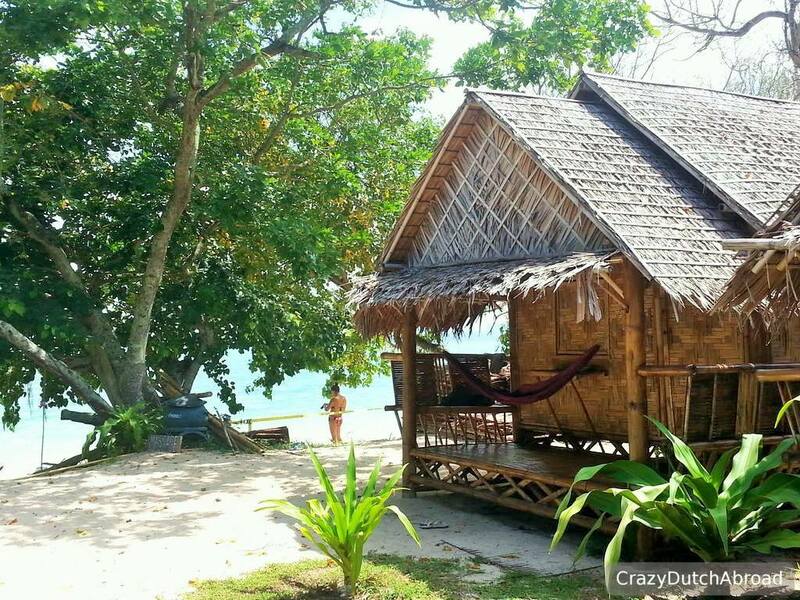 For a real 'back to basic' experience you can rent a bamboo hut which almost feels like sleeping out in the open. Dogs are protecting the resorts and they might howl at night or sleep on the little 'veranda' of your hut. Bring sunscreen, mosquito repellent and other stuff you need, there are no shops. Use too much water, it's still salty and not unlimited. Fresh Thai food on a remote island. Long tail fishing boat from Koh Kradan to Koh Ngai (1300 Bath). Click here for Koh Lipe! Click here for Koh Ngai, one of the other Trang islands!